Was Jesus just a spiritual leader, like Buddha, Krishna, Confucius, and Muhammad? Or is he something more--something else entirely? 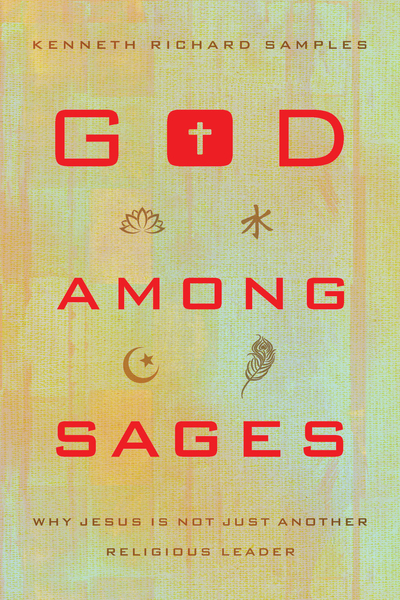 In God among Sages, apologist Ken Samples offers readers a biblical and historical portrait of Jesus, grounded in the claims Jesus makes about himself. Then Samples compares and contrasts Jesus with Buddha, Krishna, Confucius, and Muhammad using eight relevant categories of evaluation. He also helps readers understand the competing philosophies of religious pluralism, inclusivism, and exclusivism. The result is a clearer understanding of what sets Jesus apart as not simply a teacher to follow but God himself, worthy of our full allegiance and worship. Christians who struggle to answer claims that Jesus was just a good teacher, as well as those haven't quite made up their minds about Jesus's claims to divinity, will value this accessible introduction to comparative religions.